(Checked on 21 Apr, 2019) Get 100% cash back a sweet deal to keep your diabetes in check. buy beato glucometer for ₹1199/- and get 3 vouchers worth ₹400/- each, delivery after 10 business days. Buy Now! 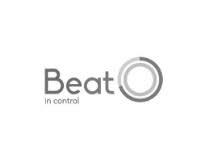 BeatO app is an health & fitness app for diabetes management. Find BeatO app coupon code for smartphone Glucometer strips.